Prime Minister of UN-backed Government of National Accord (GNA), Faiez Serraj Wednesday his government was cooperating with British authorities to extradite by the end of this year Hashem Abedi wanted in the UK for conspiracy in the subside bombing that killed dozens of people most of whom teenagers, in May last year after his brother blew himself up at a concert in Manchester. 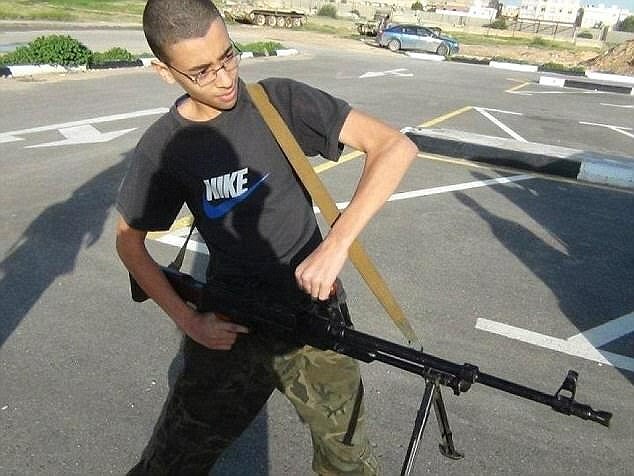 Serraj in an interview Wednesday with the BBC said Abedi currently held in Tripoli could be handed to British authorities before end of this year. “We are fully cooperating because we understand the suffering of the families of the victims of this terrorist attack,”Serraj is quoted as saying. “According to the general prosecutor we can extradite. After we complete the legal process in Libya it is only a matter of time,” he said. London has long sought for Abedi’s extradition to the UK to stand trial after the UK police charged with murder. Attempt to murder and conspiracy to cause explosions. The 22-year old Libyan man is accused of being connected to death of dozens of concert goers after his brother, Salman Abedi detonated explosives at the end of the concert given by US pop star, Ariana Grande, in May 2017. Twenty-two people died in the bombing in May 2017 while a total of 112 needed hospital treatment after the attack, with 64 suffering “very serious” injuries, BBC reports. Both siblings were born in Manchester after their parents fled the regime of late Muammar Gaddafi. Hashem was in 1994. The two brothers returned to Libya in April prior the bombing before Salman returned to carry out the attack. Hashem was soon after the attack arrested and has been in custody under the eyes of Tripoli-based Special Deterrence Force anti-terrorism unit backed by the GNA. Written by: Jaber Ali on November 15, 2018.on November 16, 2018. Posted by Jaber Ali on Nov 15 2018. Filed under Headlines, World News. You can follow any responses to this entry through the RSS 2.0. Both comments and pings are currently closed.